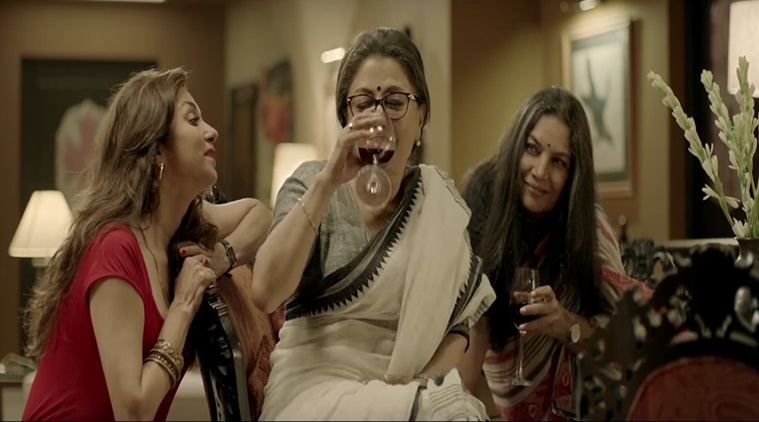 Aparna Sen's English film starring Shabana Azmi and Lillete Dubey is all about female bonding and other side of mid life crisis. Title of the film is Sonata which tells story of three unmarried middle aged women. Shabana Azmi, Aparna Sen, Lillete Dubey will be seen as three friends in the film Sonata. Aparna Sen who is famous for making women-centric films and in film Sonata she is exploring mid-life crisis through the eyes of three unmarried women living in Mumbai – professor Aruna Chaturvedi, banker Dolon Sen and journalist Subhadra Parekh. Aparna Sen plays the role of a Sanskrit professor named Aruna Chaturvedi, Shabana is Dolon Sen while Lillete Dubey will be seen as journalist Subhadra Parekh in film Sonata. Sonata is a film based on Mahesh Elkunchwar’s play, and explores the complexities and isolation the three women experience in the backdrop of a modern day life. They have a different kind of mindset, yet despite their differences they manage to cherish each other’s company. They drink wine, watch men in their briefs, but simultaneously remain socially conscious, hoping that no one hears them. Aparna Sen’s husband Kalyan Ray is also playing a lovers role in the film.